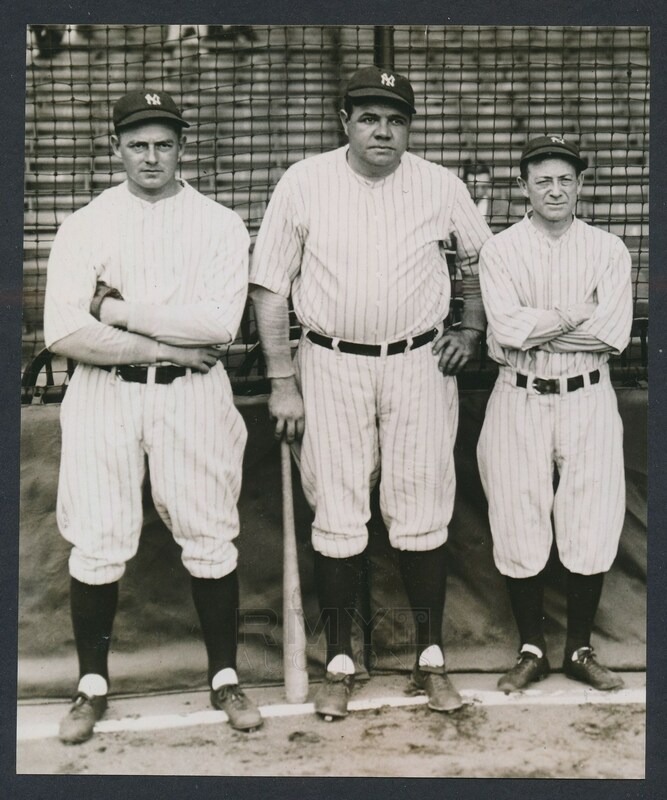 Incredible 1927 photograph of the three most important members of the Murderers Row Yankees in full uniform. Top hitter (Babe Ruth), top pitcher (Waite Hoyt) and manager (Miller Huggins) posed together before the start of the World Series! Stamped on the back by Underwood and Underwood, this is a wonderful combination of incredible subjects at the exact pinnacle of their success. 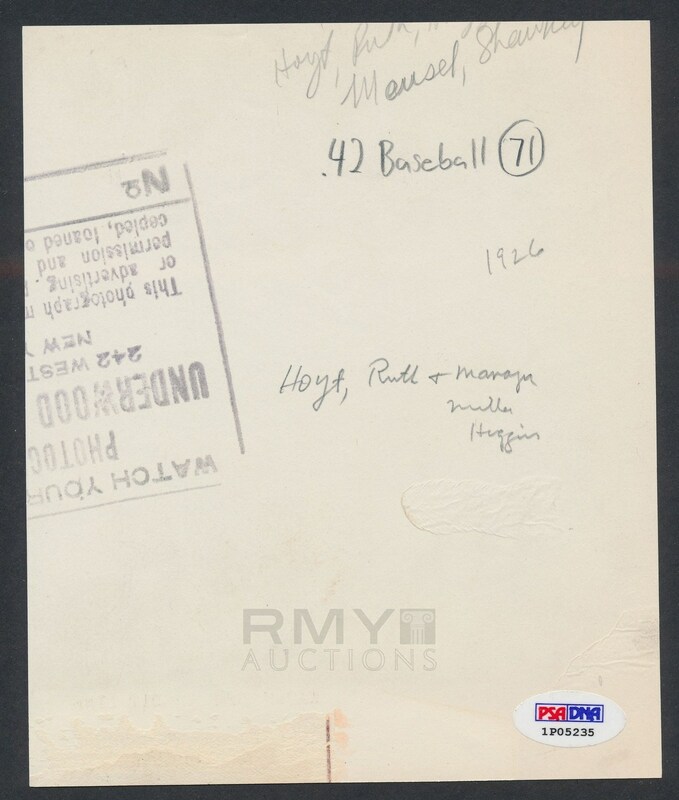 While not credited, there is a chance this was a Charles Conlon photo as he took most of the images for Underwood and Underwood at the 1927 World Series! 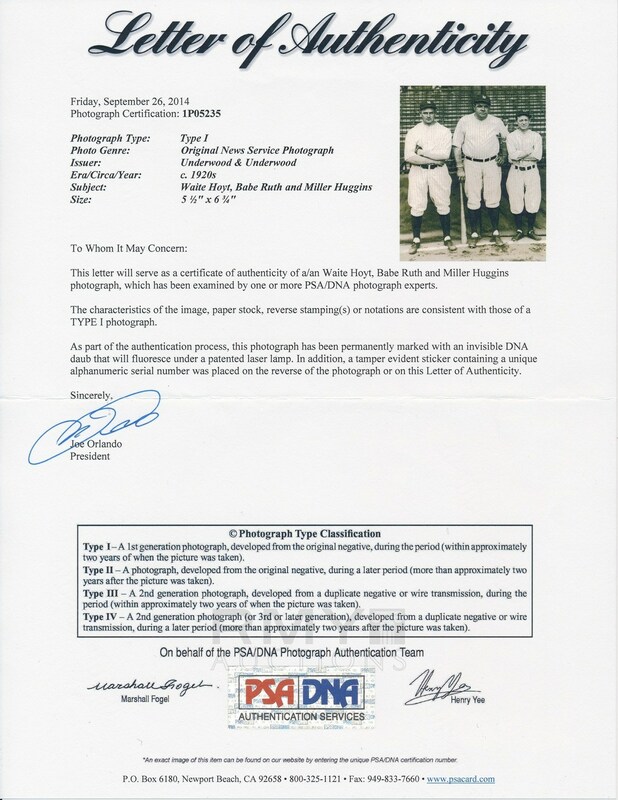 Photo is also PSA/DNA authenticated and comes pre-certified as a "Type 1" as well!